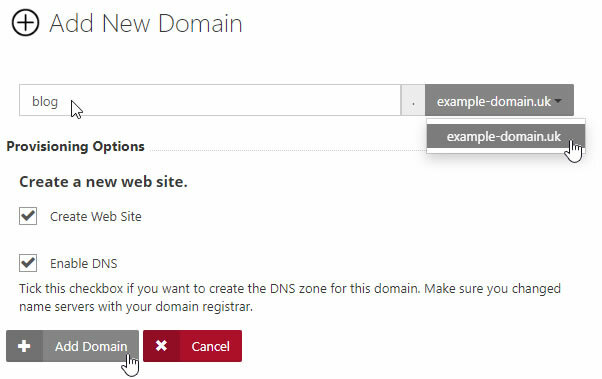 This article shows you how to add a Sub Domain in the Web Hosting Control Panel. 4. 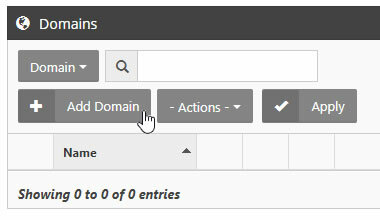 Enter your sub domain prefix with out www and select the parent domain from the drop down. You can also select additional options on this page including creating a website. 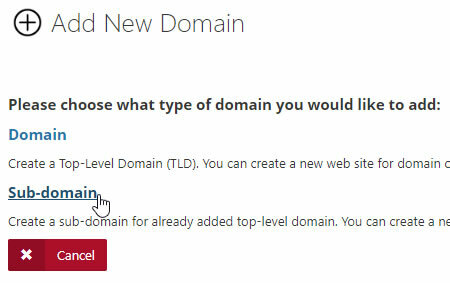 Once you have entered your domain and selected the options you wish for the domain click Add Domain.